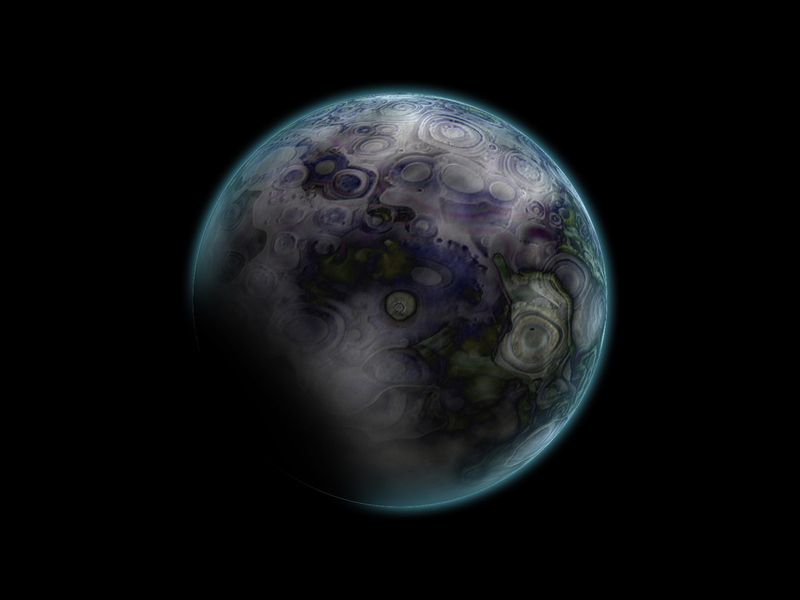 Description: This one is a long stretch from Bryce... the planet's surface is an image of a texture (Multiple parts of Psy Craters) rendered, ported into Photoshop, then cut into a circle, spherized, difference clouded, embossed, and finaly added an inner and outer glow. I hope this counts a partly Bryce. The planets atmosphere is beautiful. You laboured greatly on that surface pattern. You earn credit for that and your ingenuity. However, it doesn't look as a possible real planet to me at all. But I see it as a piece of art and I like it. Yes I agree with Horo on all scores. Now the challange should be to recreate this in Bryce5!